Better treatments for atrial fibrillation and heart block could emerge from greater understanding of the heart's electrical activity. This image of an electrocardiogram shows the various intervals that occur in cardiac electrical activity during each heart beat. University of Washington Cardiovascular Health Research Unit members Dr. Nona Sotoodehnia, the Laughlin Endowed Professor of Medicine, Division of Cardiology, and Dr. Sina A. Gharib, associate professor of medicine, Division of Pulmonary,Critical Care and Sleep Medicine, both at the University of Washington School of Medicine in Seattle, were among the five supervising scientists for the international study. Dr. Jessica van Setten of the University of Utrecht, The Netherlands, was the lead author of the study's published paper. A physician goes over an electrocardiogram with a patient to explain what it says about his heart. 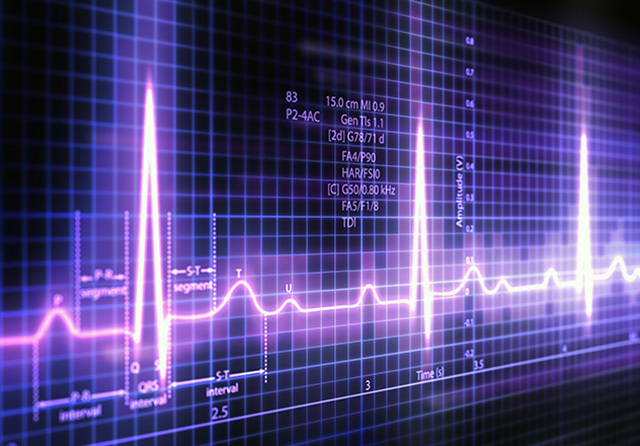 Researchers were particularly interested in the part of the electrocardiogram, or heart recording, called the PR interval. Heart monotors in the electrophysiology lab at the UW Medicine Regional Heart Center.